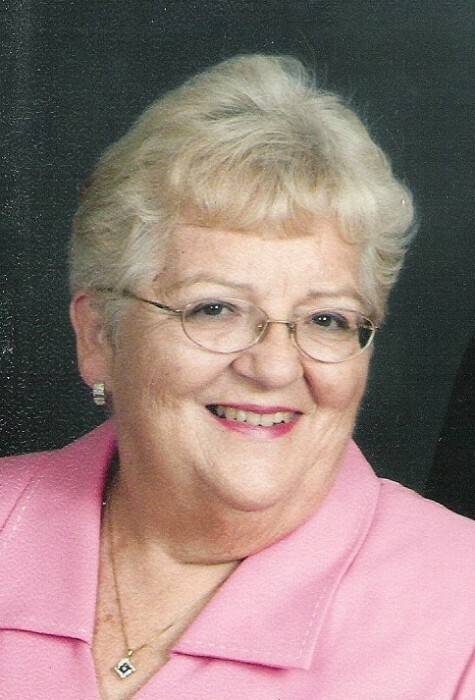 Beverly Ann Anderson, age 80, passed away Thursday January 17, 2019, in Monticello, with her family by her side. Beverly was born on September 1, 1938, in Burnettsville, to Wilbur and Helen Hatton Young. She was a graduate of Burnettsville High School in 1956 and later received her degree from Indiana Business College, Fort Wayne. In 1958 she married her best friend and the love of her life, Dudley G. Anderson, who preceded her in death. Beverly was a talented seamstress who enjoyed sewing from a very young age. After her children were raised, she worked for The Merry Windows and Walls making custom draperies. She enjoyed reading, traveling, cooking, entertaining, and watching sports (a passionate IU fan). She especially enjoyed watching her grandchildren play sports and any other activity in which they were involved. She was their biggest fan. Beverly was a gifted pianist and throughout the years taught lessons to many children in the community. She played for the church, for weddings, and special occasions. She loved playing the piano while friends and family gathered around and sang. She was very involved in her church, volunteering wherever she was needed, and devoted much of her life to serving the Lord. She was a member of Crooked Creek Christian Church and then the Baptist Christian Church, both in Royal Center. In later years, she and Dudley became members of Fellowship Baptist Church in Winamac and eventually moved to Winamac to be closer to their church family. Beverly was a treasured wife, mother, and grandmother, and is survived by her four children, Amy Shepherd (Phil), Mark Anderson (Roy Corona), Janet Weaver (Rick), and Sue Hanson (Michael); grandchildren; Carson and Sydney Weaver, Shelby Clifford (Landon), Savannah Herland (Tate), and Graycen Hanson; and one great granddaughter, Alice Michelle Clifford. Also surviving are her two nieces, Diana McGuire and Brenda Goodrich and their mother Barb Young (Beverly’s sister-in-law and friend) all of whom she loved dearly. A celebration of life will be held from 4:00 to 7:00 p.m. on Friday January 25, 2019, at Kroeger Funeral Home in Logansport. The funeral service will be immediately following, with Pastor John Drexler officiating. Memorial contributions may be made to any favorite charity.